Mix Master Mike just posted on Facebook that he is working on the Beastie Boys Book soundtrack. Think they are releasing a new track? 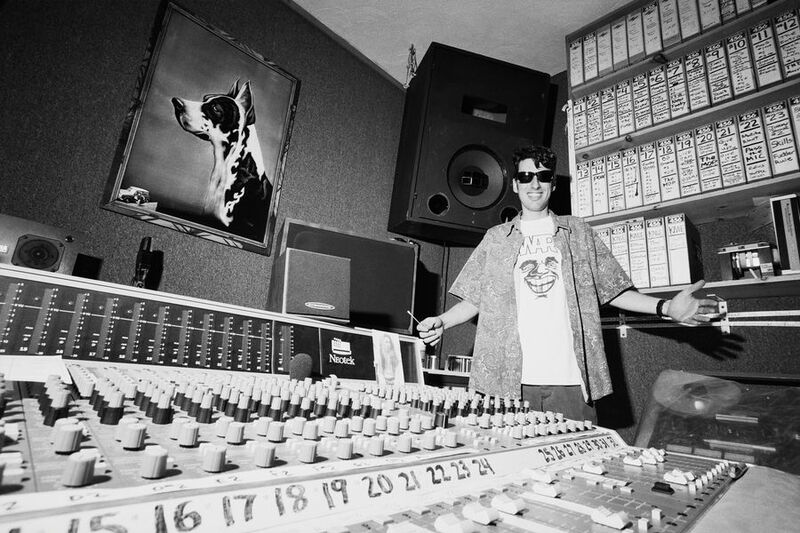 Back from South American @cypresshill tour and jumping right back into scoring and editing @beastieboysbook soundtrack on the iconic sound city neve console. Foo fighters studio compound Northridge Ca. I'm guessing it's for audio at the book tour dates. Yeah could be, but soundtrack is not the right name for show audio, right? True, not sure exactly what he means by that. It would be awesome to hear any unheard audio. I would bet my life its for the book tour event curation. Let's be honest here, it's time to drop the official Desperado and Jerry Lewis. We know they exist. Like Al Naafiysh, "It's tiiiiiiiiiiiiime". He had a different post where he just called it beastie book rehearsal. That being said, I highly anticipate the Beastie Boys Book Tour Soundtrack. Could be some unreleased tracks. mike & adam both said a week ago that there’s no unreleased “songs” coming out. maybe some “music” down the road. it’s obv for the book release dates. your just grasping at straws my guys. unless they do a lyric overhaul and/or edit heavily, i'm thinking this prob doesn't ever see the light of day....especially the use of that one word. i'm with you, i would love to hear it but i just feel like that ship sailed. Audio book is supposed to be something else. We’ll see. Live show soundtrack is a reasonable assumption. Last edited by Kid Presentable : 10-17-2018 at 06:41 PM. That's my assessment. I'm sad about it, but I believe it to be true. I am confident we'll see unreleased content in some form or another down the road. It will not just sit on the shelf forever. Seems like they are having fun with the Book and Book tour...and that will lead to putting something out. I am hoping for a Coda (Led Zep lp) style record.